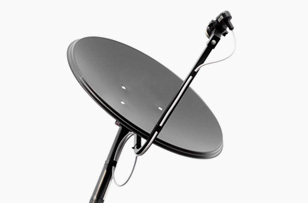 TV aerial installer High Wycombe | Satellite installations, repairs. High Wycombe’s best bet when residents and businesses require a fast and skilled satellite TV and digital TV aerial service is to call Aylesbury Aerials & Satellites. We’re the local experts when it comes to fitting all kinds of satellite and digital TV systems, including the aerials and dishes that receive the signals. And we’re on call 7 days per week, ready to work up high on roofs and workplaces across High Wycombe. Thinking about getting Sky Multi-Room in High Wycombe or another multi-room service? We’ll make sure your home or office is ready, wherever in High Wycombe you live or work. Our TV Wall Mounting High Wycombe service is highly rated too. See why so many bars, pubs, gyms, restaurants and sports centres have called on us to set up their TVs. 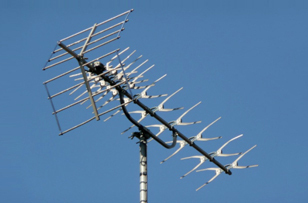 Same Day Service – when you need satellite or digital TV services without delay, a call to Aylesbury Aerials & Satellites usually results in us being able to get to your work or home in High Wycombe on the same day. And 95% of the time, we’ll fix the problem there and then. Open 7 Days A Week – you probably use your digital TV service the most at weekends. So if something goes wrong then, you’ll need someone to fix it. Aylesbury Aerials & Satellites is open 7 days a week. Call us whenever you need us. Prices You’ll Like – we think our services are the best in High Wycombe, and the best value too. Call us for a quote and see how well we compare to the rest. Independent Satellite Company High Wycombe – everyone from the people who answer calls to the Technicians who travel around High Wycombe carrying out repairs, installations and upgrades are experts in their field. Our teams back at base provide a high quality customer service to every caller. And our Technicians have the years of experience needed to carry out digital TV installation and repair work to the highest standards. We’re independent – if you need a recommendation about which digital aerial is best for your home, or which satellite system will work best in your workplace, you can rely on us for unbiased answers that have your best interests at heart. 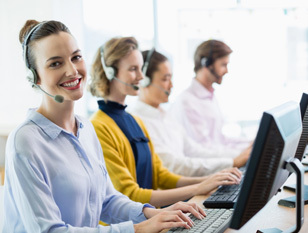 Highly rated across High Wycombe – our Technicians know the High Wycombe area, so know how to get you the best reception for your digital services. Thanks to our training, they also know what’s required to give you the best customer service, every time. High winds in High Wycombe are the bane of everyone who relies on their roof based aerial to bring them the best in digital TV. When storm damage affects your digital TV service, don’t be tempted to get up there yourself to have a look. Call Aylesbury Aerials & Satellites. We’re the experts when it comes to fixing aerials that have been knocked off course by the weather, and installing new systems from scratch. Our Technicians will reach you fast and no matter how high up your digital TV aerial is, they will check things out and make sure everything’s back working like clockwork again. So if you’ve been a refused a digital TV aerial installation or repair by other companies who aren’t prepared to scale the heights, call us, because we are. We’d back our Technicians to complete the job fast every time. And in 95% of cases, they the task gets finished on the same day. Impressive stuff. With such great sound and picture quality, and such a vast array of channels and services to choose from, it’s small wonder that satellite TV is so popular in High Wycombe. Our Engineers are certainly being kept busy by calls to install Sky and Sky-Q, plus Freesat and other foreign language satellite systems. We supply all the kit you need to start watching, plus the expertise to set it all up and talk you through how it works. There really is no need to call anyone else when you’ve made up your mind to get satellite TV.